We offer Private Tours for just your group! Experience a sightseeing tour in the Twin Cities the way you want to - nothing is out of the question! Is there a specific date/s you are interested in? Is there a specific time or range of time you would like to start? What is the approx. number of people? Is there specific breweries you are interested in? Or would you like us to recommend breweries? Tell us about your group, so we can make sure to offer a tour that fits your needs. Anything else you wish to share with us? SIZE OF GROUP and LENGTH OF TOUR DO WE OFFER? We offer tours to ANY size of group and have offered private tours to just a handful of people and over 100 people. 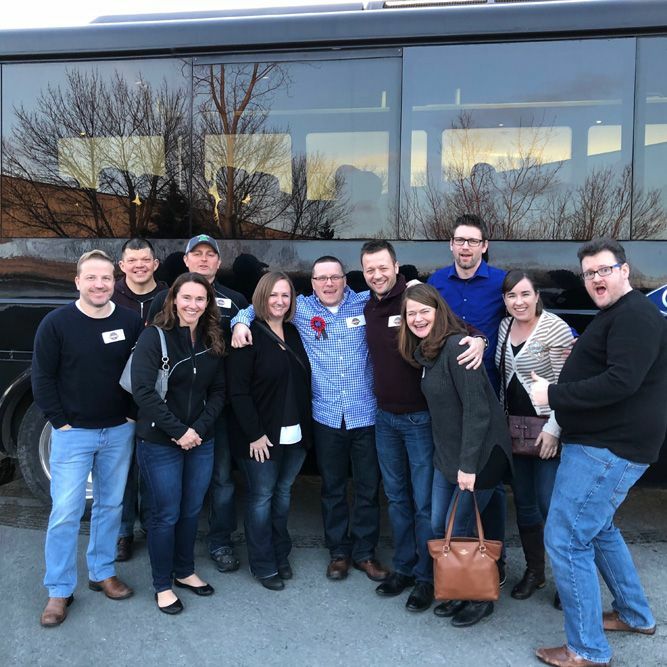 If you are interested in one of our transportation tours we have buses that holds group of 12, 13, 15, 28, 50+ or book multiple buses to hold groups larger than 50. You can book one of our tours as-is with the scheduled length of time or ask us to customize the tour to your desired length needed. You tell us what sights you want to see - we'll make it happen! You are allowed to bring a cooler with ice and beverages. Beverages in glass are not allowed. Hard liquor is not allowed. Beer in cans or plastic are allowed. Wine, hard lemonade and hard cider is allowed. Soda, water and non-alcoholic beverages are allowed. Our open-air bus only operates within Minneapolis/St Paul for a max of 3 hours. Our other coaches operate anywhere visiting sights within the metro area. These coach buses are available for any length of time. Full payment made by credit card is required to hold your personal tour date and time. A $350 non-refundable deposit required by credit card/check to hold your personal date and time. The remaining balance and final tour attendees count is due 14 days prior to your tour. Does your mom love fine chocolates? Are you a mom who loves chocolate decadence? If the answer to either question is “yes” – please join us on the Twin Cities’ only Mother’s Day Chocolate Tour! Treat your beloved mom (or yourself) to the best chocolate delicacies Minneapolis-St Paul has to offer. On Saturday, May 11, we’ll chauffeur you from chocolatier to gourmet chocolatier, sampling their delicious creations along the way. They’ll even let you in on their process and production as well as their history. Can we tempt you with gooey chocolate turtles, Oprah Winfrey, and 23k edible gold leaf? If so, click here for more information and to book this tour!